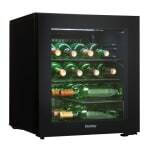 The Danby DWC018A1BDB one-section wine cooler has a space-saving design that can hold and display 16 bottles of wine. Its black exterior has a high-gloss door frame with smoked glass to increase product visibility. One staggered shelf and two vinyl-coated wire shelves maximize storage space, while blue LED lights that do not give off heat showcase bottles. Reversible door hinges enable users to open the door from the right or left. 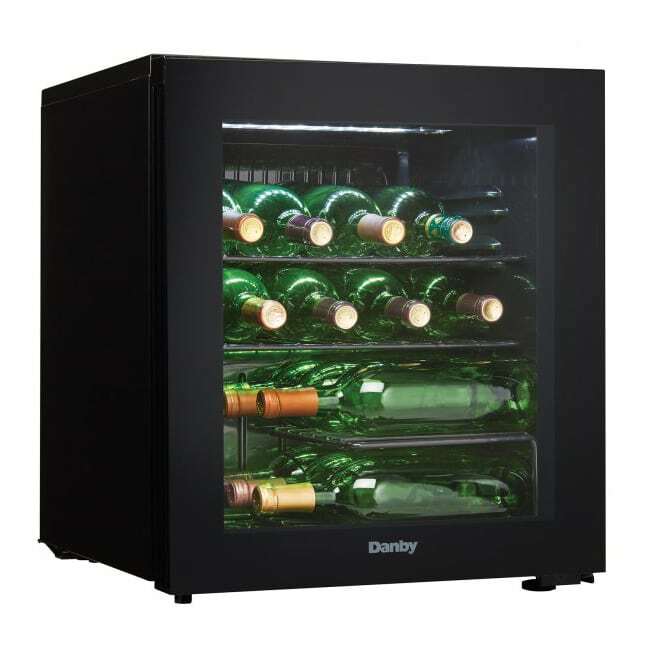 The Danby DWC018A1BDB wine cooler has a temperature range of 42 to 57 degrees Fahrenheit, ensuring bottles are chilled at the right temperature. Want to learn more about the features of wine coolers? Check out our wine merchandiser buyers' guide.